Overview: Force Support Officers lead, manage and direct personnel executing combat support capabilities for the Air Force and joint mission in the core areas of Manpower, Personnel and Services Programs. These manpower managers supervise a full range of personnel programs to include accession, retention, promotion, education, training, recreation and fitness. 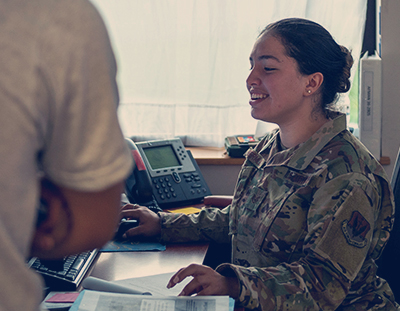 In addition, they ensure that equal opportunity, sexual assault prevention and other human relations programs to fully support the rights and needs of all Reservists and their families. Casualty, SAPR, EO, Resiliency and Quality of Service Programs.